Concentrate on long even glides, good form, but no racing. At each cone a single long powerful stride is taken. 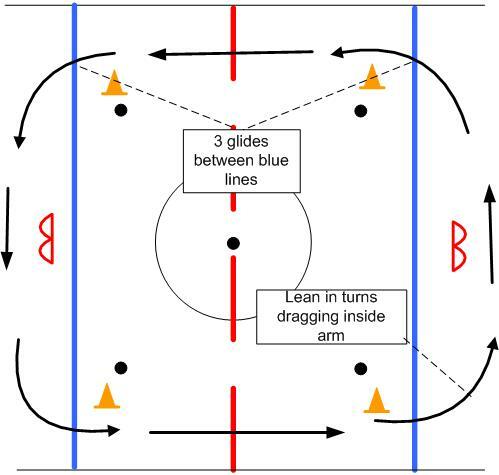 Our pushed players are also instructed to lean into the turns. Pushers also need to be instructed to help the player by tilting the sled slightly into the turns.